The event on June 8 will be attended only by "close family and friends", but a memorial service is to be arranged for later in the year. There has been speculation that this will take place at St Paul's Cathedral in London. The hugely successful music star, who racked up decades of hits, died 10 days ago after being ill with cancer. During a lengthy period of ill-health, he was treated for colon cancer, had surgery for an intestinal problem and contracted pneumonia. At one point he spent a short period in a coma, although he regained consciousness several days before his death. His son RJ has since said that kidney failure was the cause of death. 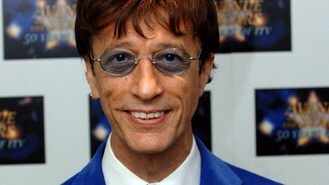 A statement issued on behalf of his family said today: "The funeral of Robin Gibb will take place in the UK on Friday June 8. The funeral will be a private service for close family and friends." It requested there should be no flowers but called instead for donations to two children's charities on the Isle of Man, "both of which were close to the heart of Robin Gibb and his family". They asked for the money to go to Rebecca House hospice and Wish Upon A Dream. The family said further details about the memorial will be announced "in due course". Although details of the funeral's location have not been announced, it has previously been reported that it will take place near to where he lived in Thame, Oxfordshire, with a service including music by the Bee Gees and Roy Orbison.